This week in St. James water mains will continue to be flushed all week. Wednesday the WYSIWYG Juice Co. Will be at the St. James Highschool FACS building from 5:15 p.m. – 6:15 p.m. Thursday is Community Connect from 12 p.m.- 4 p.m. at Marian Hall. Also, Hamburger Night from 5 p.m. -7:30 p.m. at the VFW. 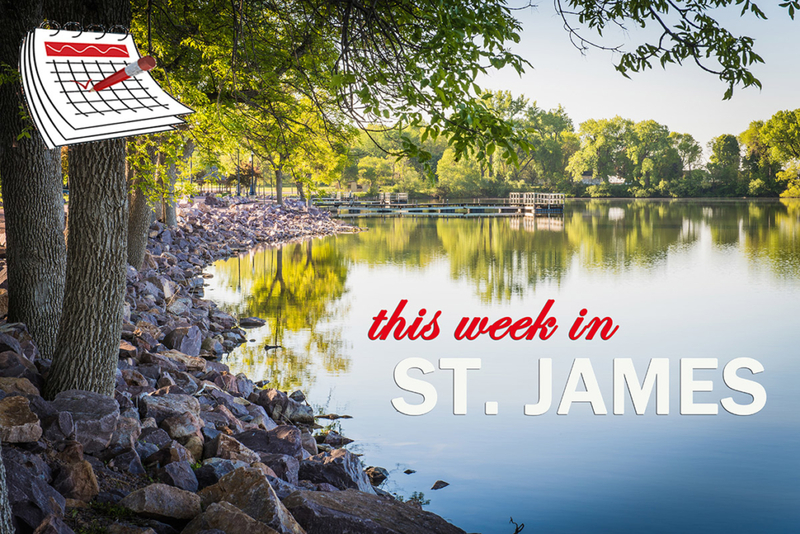 Sunday is the St. James Ambulance Service Fundraiser serving Dad’s Belgium Waffles from 9 a.m. – 12:30 p.m. at the VFW, St. James Liquor is open from 11 a.m. – 4 p.m. and the St. James Fire Dept Open House is from 12 p.m. – 3 p.m. at the Fire Station. Check out the community calendar for more details on these and other upcoming events!